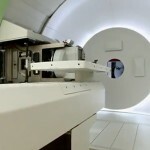 Check out the latest news about proton therapy: this week, find out how this state-of-the-art treatment modality is helping patients pull through their illness and make new life projects. A charity day for 8-year-old Charly Ilsley who is fighting against a brain tumor raised more than £2,500 to pay for revolutionary treatment. Charlie has already had to endure surgery, two bouts of chemotherapy and hours of radiotherapy since he was diagnosed with a brain tumor earlier this year, and is currently undergoing chemotherapy. 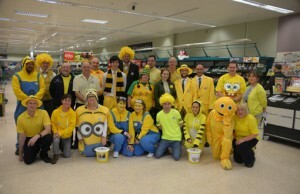 The staff at the supermarket where his mother works dressed in yellow on Saturday and collected donations for Charlie, as his parents are trying to raise up to £200,000 to pay for proton therapy treatment, so he doesn’t have to have radiotherapy again if the disease returns. His grandmother said: “If the treatment is going the way we want it they will carry on. If it’s not to Charlie’s advantage, if the treatment doesn’t appear to be working, they will stop.” The family was delighted with the amount of money raised. A colleague of Charlie’s mother said: “For me it’s quite personal. We wish her and her son well and the family.” The store manager added: “I’m absolutely amazed by the response, amazed by the support my colleagues and all of our customers have given us. It exceeded all of my expectations of how much we would raise for Charlie. We were delighted that we could help him and try and raise this money to potentially send Charlie for the treatment and I know it’s something all of the team have wanted to support and many of the customers with something so local.” The store will be organizing more fund-raising events for the youngster in the New Year. 67-year-old Mike Kastl is happy to do most anything now that he has beaten prostate cancer. When he’s not bouncing his grandbabies around, this former teacher is spreading the word to other men about the importance of annual checkups. Mike knows cancer. In 2009, he was first hit with his wife’s diagnosis of bile duct cancer. A trip to the Mayo Clinic in Houston followed, as did a life expectancy of three-to-five years. “She only lasted two,” he said. 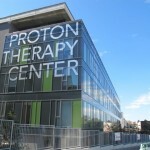 It was during this time that Mike found ProCure Proton Therapy Center for himself. After an annual checkup, he learned his PSA score had doubled. It was a big enough jump to be referred to a urologist for a biopsy, which revealed he had prostate cancer. 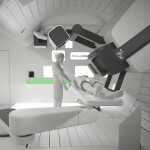 His options were radiation, surgery and then a new type of treatment called proton therapy. “My urologist kind of blew that last treatment off but I was taking notes,” Mike said. “When somebody says you’ve got the big C, you start listening real close. 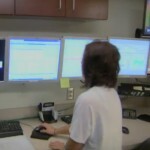 I was online 24/7 looking at prostate cancer treatments.” His research led him to contact the new ProCure Proton Therapy Center in Oklahoma City that was just being finished. He began his first of 44 treatments in August of 2009 and holds the distinction of being ProCure’s first prostate patient. “The quality of life is what makes ProCure, I think, much better,” he said. “My quality of life is better for having gone to ProCure. No side effects. I didn’t lose any hair. I was out working cattle.” Today, he’s telling other men about prostate cancer, as he strongly believes that checkups saved his life. Mike is now remarried and has a new lease on life. And he enjoys all the extra time he has to spend with his grandkids. To say that Tammy Coleman has a complicated medical history is an understatement. With two heart attacks, a stroke, congestive heart failure and high blood pressure from her father’s side, she didn’t escape breast cancer from her mother’s side either. Genetic testing revealed that it was likely she would develop ovarian cancer too, so in one day Tammy went in for a double mastectomy and complete hysterectomy in hopes of beating the odds. “I was in surgery 9 to 10 hours,” she says. After surgery came chemotherapy, through which she physically broke down. Her family found themselves overwhelmed by her illness and kept a distance, except for her son Rodney, who had been by her side since age 15 and the start of her medical problems. He’s now 21. The two used to live across the street from the Provision Center for Proton Therapy, and after being diagnosed with cancer, Tammy’s doctors recommended proton therapy rather than conventional radiation because of her heart condition and other health issues. But she wasn’t so sure. “When I first walked into Provision I was a nervous wreck. I was so scared. I knew protons are still radiation. I thought, ‘That looks like the weirdest machine I’ve seen in my entire life, and you want me to lay on that table?’” Her fears were unfounded, however, and she and Rodney say they discovered a second home at Provision. Since her cancer diagnosis, Tammy has become a fierce advocate for breast cancer awareness. She’s also become an advocate for Provision. “This is my passion now,” she says.